Daring to be different, on the second Sunday of every month, we would like to welcome you to bustling, busy Latchi Harbour Market. With a wealth of restaurants, tavernas, local shops and an amazing view, what better place to spend an afternoon? Browse our selection of stalls selling a wide variety of goods. 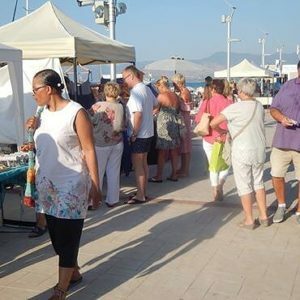 So much more than just a craft market, whilst we do have extremely talented artists and crafts people exhibiting, we also have a wide range of gifts, clothing, jewellery, peanut brittle, cakes, natural beauty products, wine, kitchenware – and anything else that you, the public would like to sell. Face-painting too! In addition to supporting local charities, we also have a large CAR BOOT SALE area which is proving popular. Now there’s a novel idea! Come to a market and make money instead of spending it! 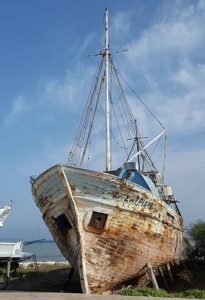 Fully licensed and supported by Polis Municipality and the Harbour Authority, and with the backing of a professional marketing company, you can be assured of excellent coverage in terms of leaflets, roadside banners, local magazine, Facebook and internet advertising. What are people saying? ‘Simply the best market I have attended in a long time’, ‘I can’t believe how many customers you have brought me’. ‘Great venue, great variety, great fun’. But why not find out for yourself? Perhaps you are a crafter who would like to turn some surplus stock in to cash? Maybe you have a few items gathering dust which could be relocated to a new home for a few euros – book a space in our separate CAR BOOT SALE area? Whether you are prospective stall holder, crafter, artist, producer or have something to sell, why not call us for details. We look forward to welcoming you.